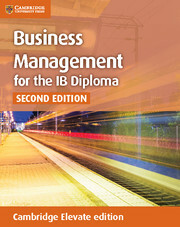 A comprehensive second edition of Business Management for the IB Diploma, revised for first teaching in 2014. 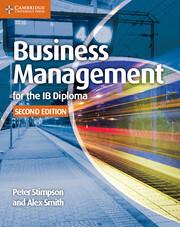 This study guide provides additional support for students preparing for the Business Management for the IB Diploma examination, for first teaching in 2014. 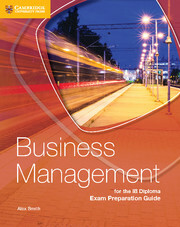 The guide promotes critical and strategic thinking in a business context, as well as providing opportunities to practise answering different question types. In addition, a focus on numeracy skills delivers extra support with this particular aspect of the course. Answers to the exam preparation guide questions are online. The exam preparation guide contains additional questions that relate to case studies, preparing students for this type of assessment in their examination. Engaging activities focus on improving students’ numeracy skills for aspects of the course that require them to work with mathematical data. Practice with structured questions helps raise students’ confidence in this area. Written in clear and easy to follow English that helps define the syllabus. Answers to the exam preparation guide questions are online.